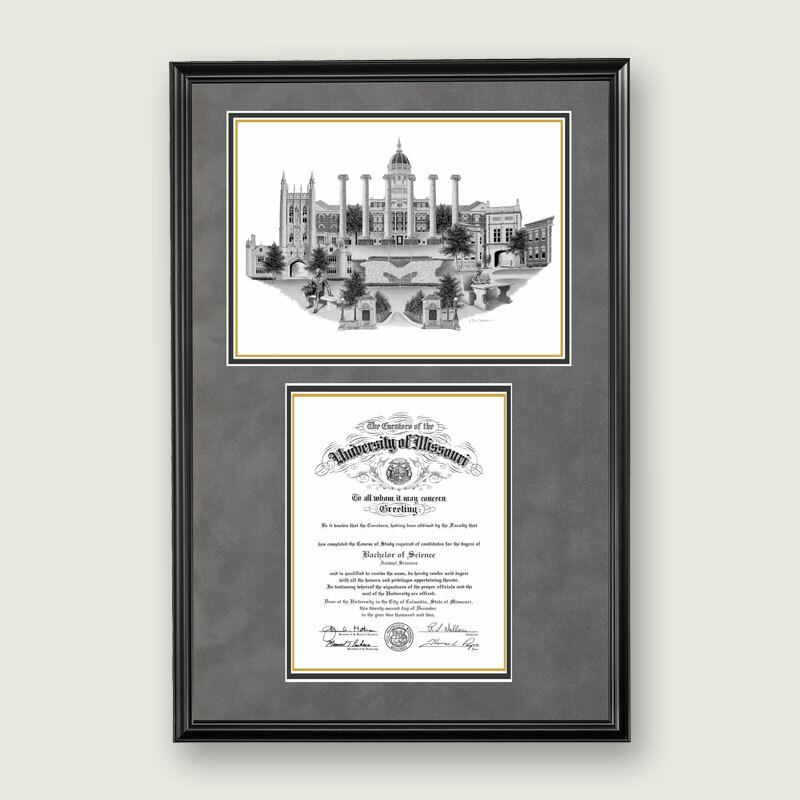 Our Artistic Frame with deluxe matting is double matted with a museum quality, grey suede outer mat and a gold inner mat. You can select a wood frame in satin black or a deep mahogany frame with rich black highlights. 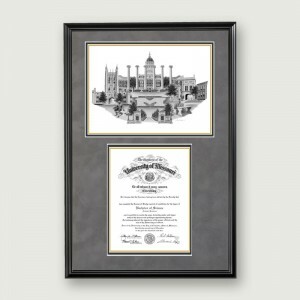 The Artistic Diploma Frame is framed with glass and is ready to hang. You can easily insert your own diploma. SKU: N/A. Category: University of Missouri.